A fresh new twist on the original classic. 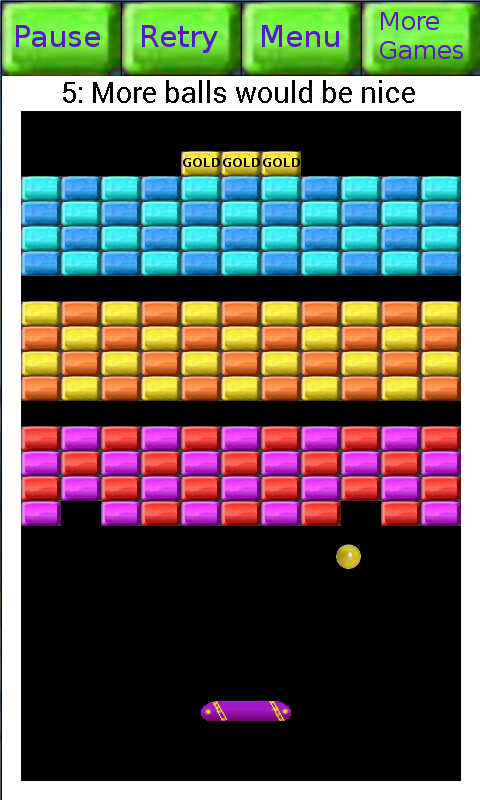 Similar in style to the old block breaker arcade game however the aim of this game is not to break all the bricks, but to make a big enough hole so you can get to the gold! Sounds easy and indeed the initial levels are quite simple, however later there are puzzles to solve, mazes to negotiate, traps to avoid all at the same time as keeping the ball in play. Stars are awarded for each level with bonus stars for using faster balls, clearing all the blocks on a level, etc. There are 12 training levels to get you started, then stacks of fabulous levels to complete. 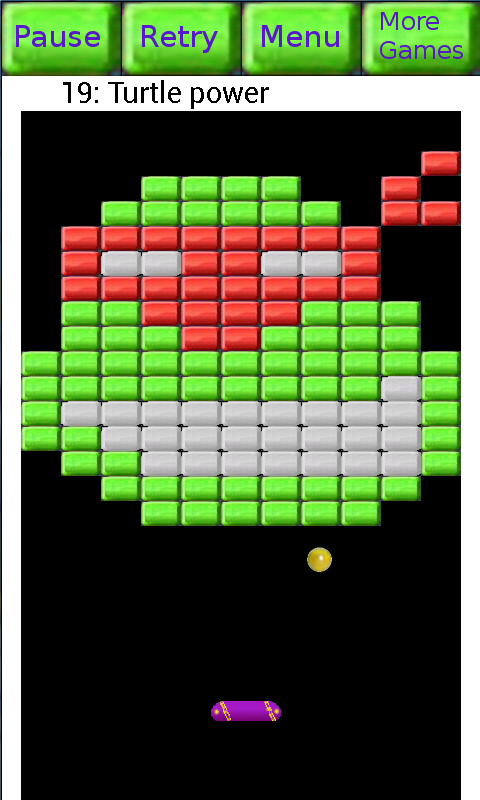 Its all Free, so download Breakout the Gold and start smashing those blocks now.